With the wind blowing and rain before race morning began, riders where truly showing support and determination to race on such a cold day. Addition of some new members and some returning faces from our summer championship decided to join us again to race at round two. This lead to some excitement throughout spectating. BMW Autoparts Junior Gearbox competitors were the first of the grid to race. Due to the wind factor, we hoped this didn’t affect their aspects of racing. Although the kids where thriving to get on track and give their all in the race. 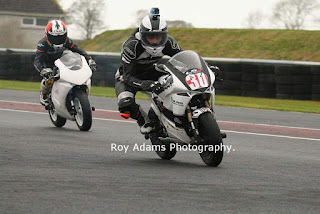 Autoparts Junior Gearbox 125cc consistent rider Robert Ronan gave two very strong races gaining two seconds on podium, and overall winner. 140cc rider Jack Ferris yet again gained the overall win. AJM Car Sales Senior Open class gave us a nail biting two races with Irish Supersport Pro Race Winner Kia McGreevy gaining the overall win. Kia battled with brother BSB rider Korie McGreevy in race one, although Korie had no luck in race two with chain coming off. 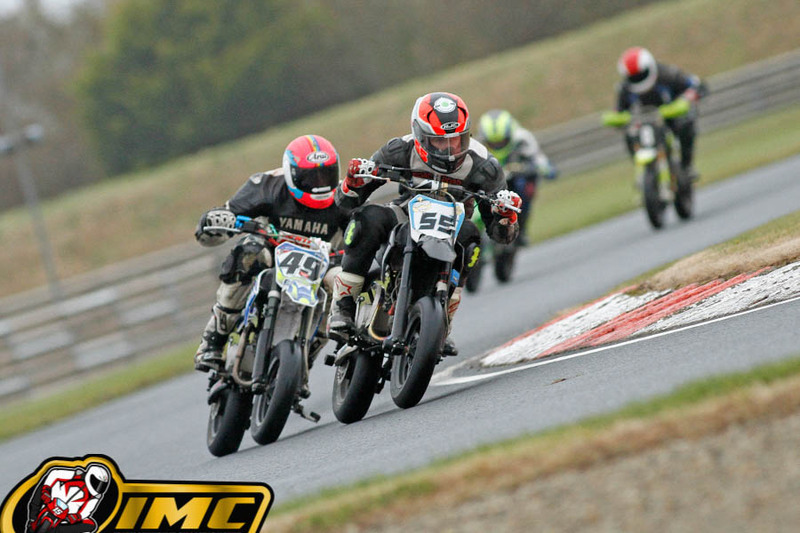 In second overall was Jordan McCord who also gave two consistent races battling to gain first position in race two. 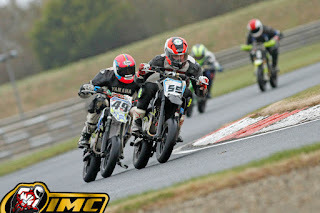 Ernie Coates Motorcycles Senior Stock 140cc class displayed a fantastic battle on track, between Kyle Cross and Richard McFarland. Both trying to gain podium position. 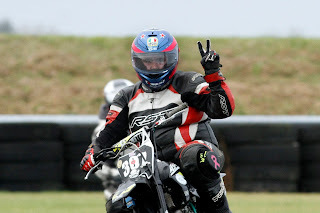 Overall winner of the class was gained by Kyle Cross, displaying strong two races. Not far behind was second overall Richard McFarland. 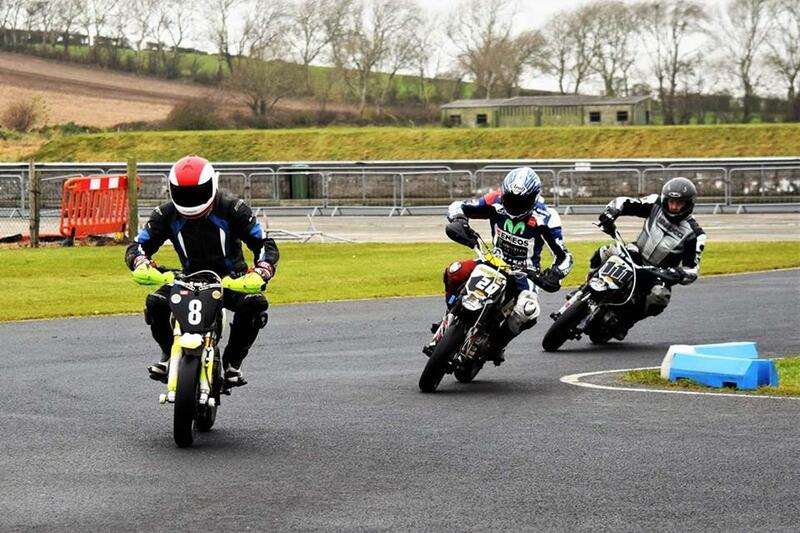 SB Pitbikes sponsor of the Vets 140cc class showed three determined racers. Nigel Robinson smoothly gaining overall winner, as Graham Ronan and Malcolm Robinson battled throughout both races, fighting for second position. Graham Ronan fought back hard and gained second overall. Misano Moto Mini GP showed yet again Richard McFarland battling at the front with Ajay Carey and Rossi Dobson. Ajay Carey push up front gaining first overall. Discount Beds Stock 140cc Group 2 sponsor welcomed some new faces within this group. Consistent at the front of both races and winning overall was new comer Gary Wilson. As the spectators cheered on Sam McFarland fighting his way forward in race one making it a close call to near first position. Race two saw Sam Farland starting off again with a good start, although into the early laps he had an accident, were he was treated, and race had to be restarted. Sam had to be taken to Ulster Hospital for further examination. Michael Thompson also stayed up front finishing third overall. 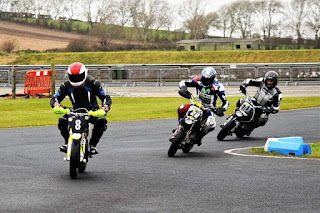 Temple Tree Services Mini Moto Competitors didn’t have a great race one due two riders Ruben Sherman-Boyd & Leon Scott hitting bike failure. Giving Buster Boyd winning position in race one. Race two lead to Ruben Sherman-Boyd a DNS, although Leon Scott fought back and obtained first position in race two. Overall winner achieved by Buster Boyd. IMC wish Sam McFarland a speedy recovery.